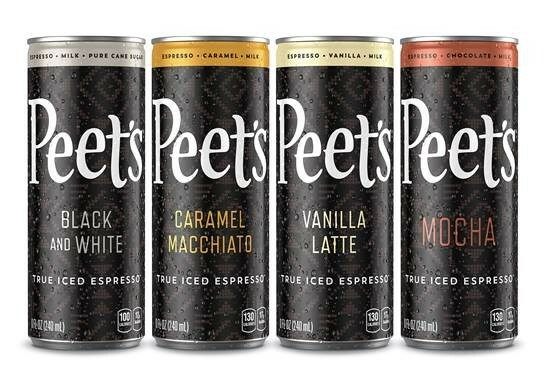 Peet’s Coffee expanded its ready-to-drink portfolio with the national launch of Peet’s True Iced Espresso, a line of shelf-stable canned iced espresso flavours inspired by top-selling drinks in Peet’s coffee bars: Black and White, Vanilla Latte, Caramel Macchiato and Mocha. The Peet’s True Iced Espresso line features dark roast single-origin Colombian coffee, which provides a deep roasted sweetness so minimal sugar and calories are needed for a pure coffee indulgence. 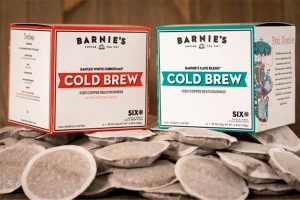 Peet’s True Iced Espresso joins an existing portfolio of RTD beverages from Coldcraft, the Peet’s business unit dedicated to the innovation, production, and delivery of RTD and keg craft beverages. •	Black and White: A lightly sweetened creamy latte. •	Vanilla Latte: Smooth blend of espresso, milk and vanilla. •	Caramel Macchiato: Rich, buttery caramel and velvety milk meet an intense shot of espresso. •	Mocha: A melding of bold espresso, milk and Dutch-processed cocoa. 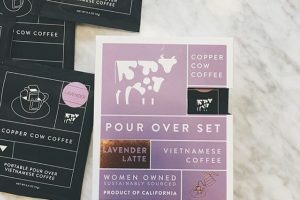 Peet’s True Espresso is available in grocery locations throughout the United States, such as Kroger, Albertson’s and Safeway beginning this week. The line is also available on Peets.com. Peet’s True Espresso will roll out to additional grocery retailers throughout summer 2018. For more information, visit www.peets.com.